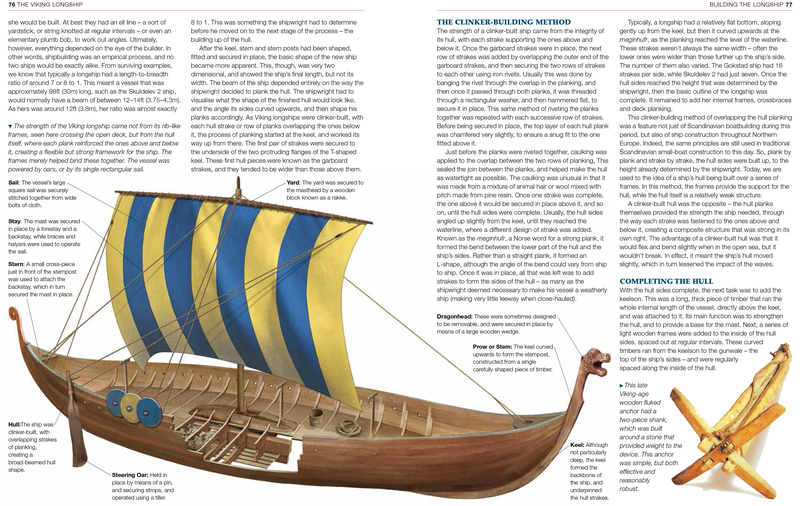 In the summer of 793 AD Viking raiders attacked and looted the monastic island of Lindisfarne, off the coast of Northumberland. This assault was only the beginning, within 18 months huge areas of the British coast was being devastated by the terrifying ships and their fierce, destructive fighting men. Who were these mysterious raiders? 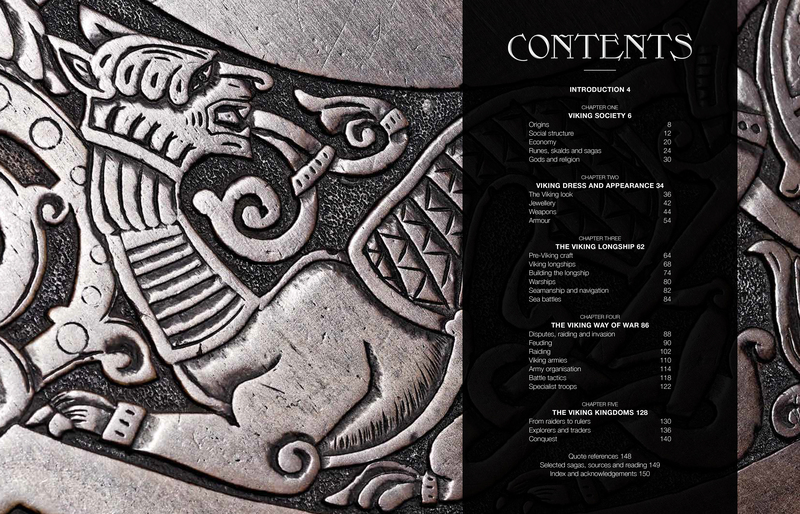 In this book, veteran historian Angus Konstam answers that question, and many more besides. 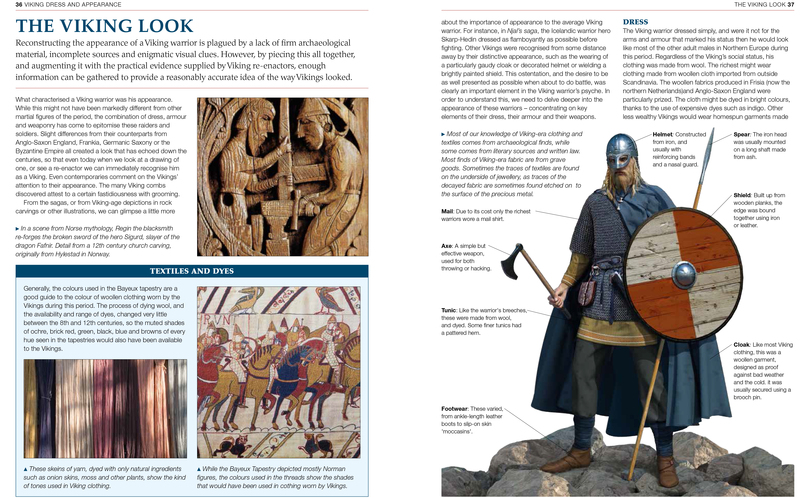 By focussing on the Viking warrior himself, these mysterious figures are fleshed out and brought vividly to life. 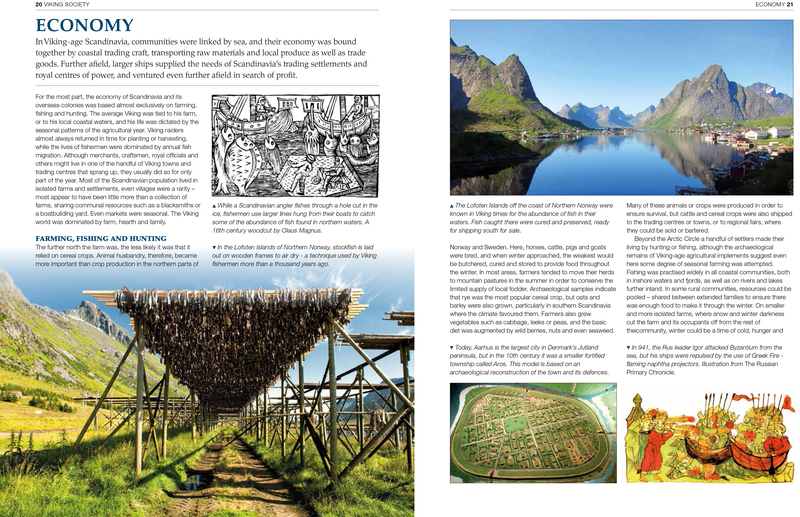 The book explores the Norse background and culture, the way the people lived and dressed, the weapons they carried and how they used them. It looks at their system of belief and their allegiances to family, community and king, but it also explains just why they were so effective as plunderers and raiders. 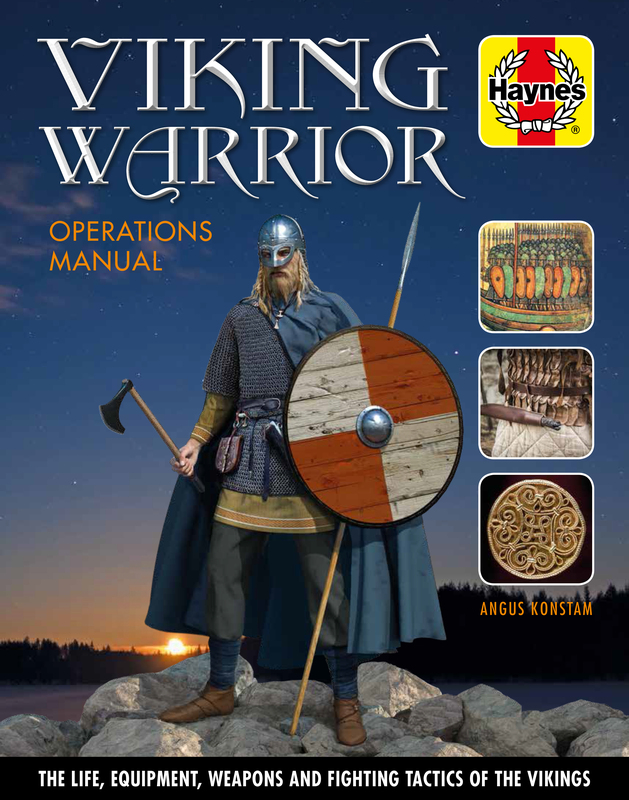 The result is a book that uncovers the world of the Viking in a way which has never been done before, presented in the highly accessible yet informative style that characterises the Haynes manual series. 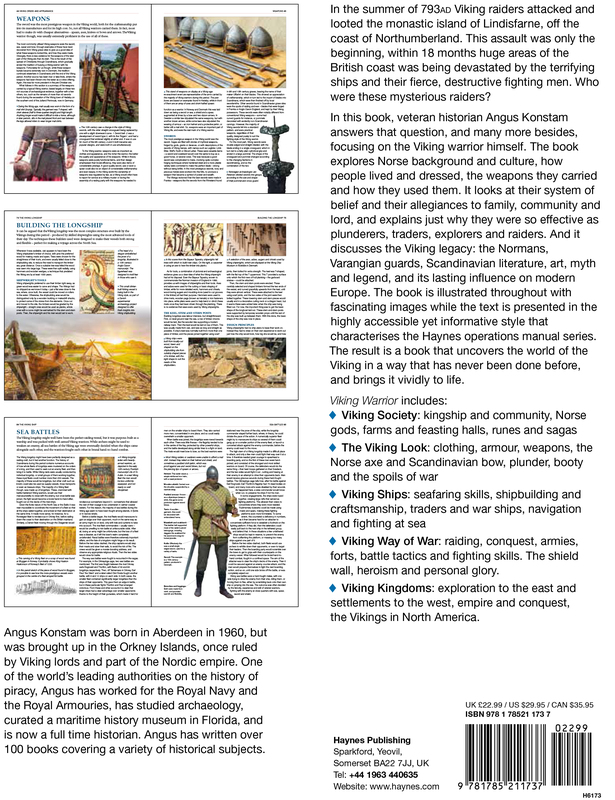 Author: Angus Konstam was born in Aberdeen in 1960, but was brought up in the Orkney Islands, now part of Scotland but once ruled by Viking lords and part of the Nordic empire. One of the world’s leading authorities on the history of piracy, Angus has worked for the Royal Navy and the Royal Armouries, studied archaeology, curated a maritime history museum in Florida, and is now a full time writer. 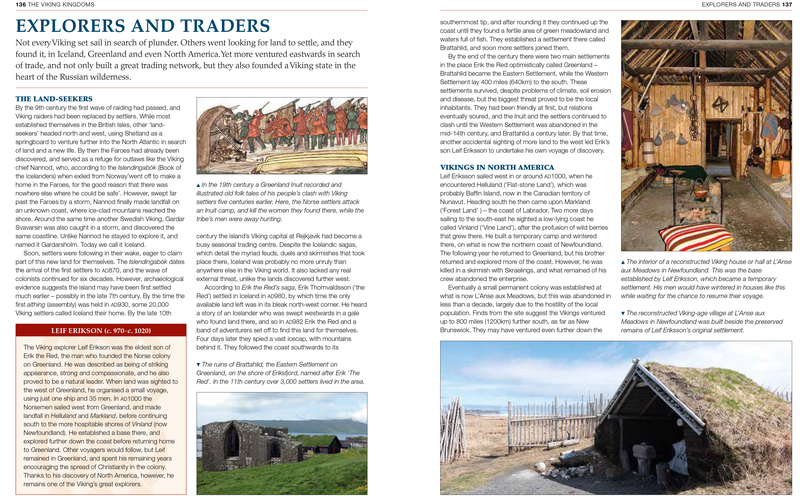 Angus currently has over 70 books in print on subjects from pirates to the American Civil War.